This thoughtful new abridgment is enriched by the brilliant commentary which accompanies it. 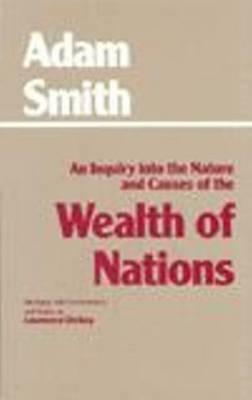 In it, Laurence Dickey argues that the Wealth of Nations contains--and conceals--a great deal of how Smith actually thought a commercial society works. Guided by his conviction that the so-called Adam Smith Problem--the relationship between ethics and economics in Smith's thinking--is a core element in the argument of the work itself, Dickey's commentary focuses on the devices Smith uses to ground his economics in broadly ethical and social categories. An unparalleled guide to an often difficult and perplexing work.